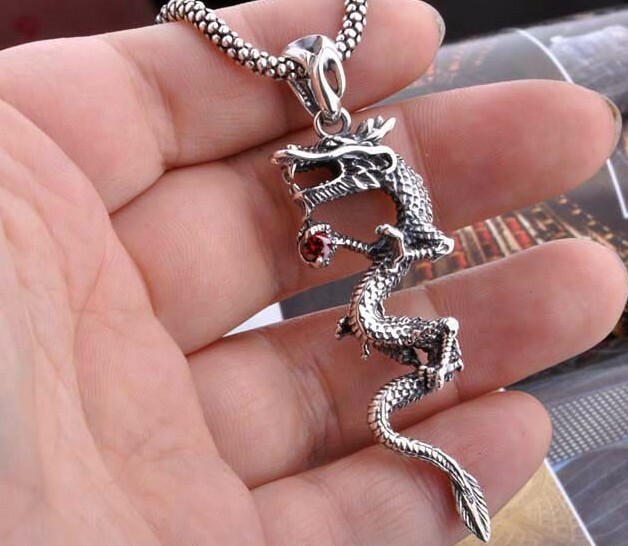 Handmade Sterling Silver Dragon Necklace Pendant. 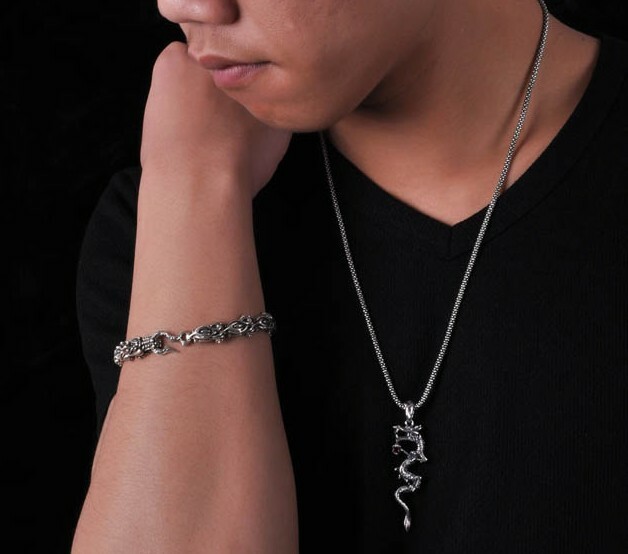 This dragon pendant was handmade in Tailand from sterling silver, and garnet. 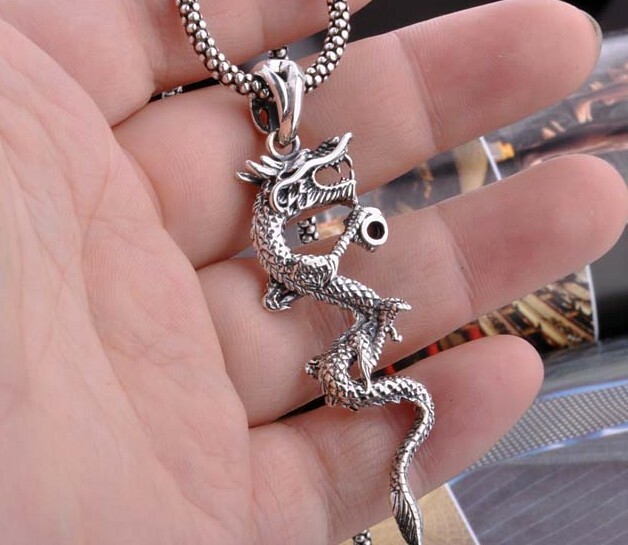 It is believed to draw wealth and keep strong by wearing this sterling silver dragon pendant. Size: pendant: 15mm in width and 55mmin length; Necklace: DIAMETER: 2.5mm, LENGTH: 500mm .